Add your own Custom Online Bank to accept your customers payments. 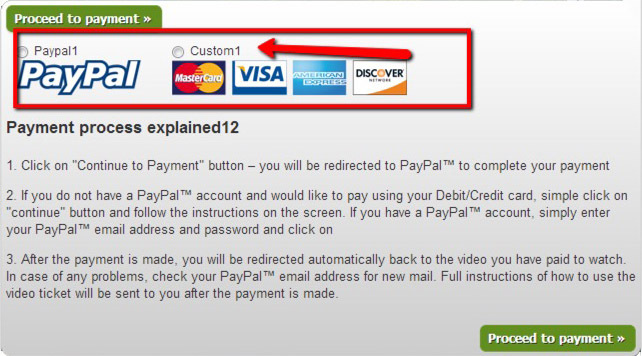 If you don't want to use one of our integrated Payment Processors such as PayPal, 2Checkout, CCBill or Authorize.net There are a few simple steps that have to be followed in order to integrate and use a Custom Payment Solution with your Pay-Per-View videos. If you want to check out some Pay-Per-View Demos and extra information please visit our Pay-Per-View information page.